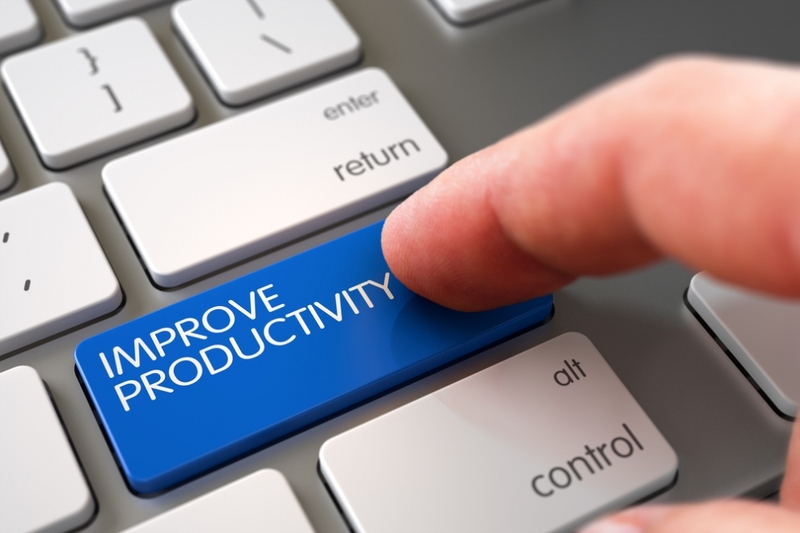 Would you like to get more productivity from your employees? Few managers would say no, but a lot of them go the wrong way about trying to achieve it. Simply increasing your demands or trying to ratchet up the pressure on staff does serious damage to morale, and stressed workers, even if they try as hard as they can, are less productive than happy ones. These five tips will help you achieve positive results. According to research, the number one cause of discontentment at work is the feeling of not being listened to by management. Employees who are given the chance to contribute to how the workplace is run, and who feel that their contributions are valued, make more effort in their day to day tasks and are less prone to stress. They can also provide genuinely useful insights. Knowing how to listen is a vital part of leadership not just because it binds a team together but because when you’re looking down from above you can’t possibly see everything. Workers down at shop floor level are much quicker to identify problems with business processes and are well placed to come up with practical solutions. Training your employees not only sharpens up their skills but increases their loyalty, encouraging them to work harder. Far from taking advantage of their new skills to move elsewhere, the vast majority of workers who are supported by training by their employer stick around to apply those skills in their existing roles or seek promotions within the same company. That’s why some employers go so far as to sponsor their employees through part-time university courses or allow them time off for study. An investment like that, in the short-term, can bring big rewards over the long-term. When you’re thinking about productivity it helps to look beyond what individuals are doing and consider the way that your workplace functions as a whole. Team building is important to ensure that employees help each other rather than competing at your expense. Most people are happy when they’re feeling lucky, so why not set up a workplace lottery syndicate and check the winning lottery numbers together? It’s a great way to make people feel that they’re on the same side, without being too pushy, and that helps to streamline working practices, bringing better results overall. Workers often struggle to be as efficient as they could be because the hours when they’re required to be in the office don’t suit their body clocks or fit easily around their other responsibilities. Ask yourself if you really need to have everybody there at the same time. It’s important in some workplaces but by no means all. If you’re able to be flexible, you’ll find that some employees get a lot more done if they can arrive at work a couple of hours later and leave later in the day. Others may prefer to start early and leave in time to pick their kids up from school. Some can produce better work if they do some of it from home, and that approach also gives you the option of taking on remote employees, giving you a bigger talent pool to draw from. Healthy workers are more productive workers, so it’s worth making the effort to look after yours. Simple things like adding more healthy food to the canteen menu and providing staff with cooled drinking water whenever they need it can make a big difference. Don’t demand that people come into work when they have cold or ‘flu – they’ll only infect other people and won’t be able to perform very well, so you’ll lose less productivity overall if they take time off. Remember that mental health matters as much as does physical health, and that if you take precautions to reduce the risk of your workers suffering from stress – including time off if they need it – they’ll be less likely to develop more debilitating mental or physical health problems. Treating your employees well, keeping them healthy and happy, paying attention to them and making sure that they have opportunities to learn and grow can turn a slow workplace around and see it thrive. The majority of employees feel much more satisfied at work when they’re more productive, so you don’t need to push them – you just need to give them the chance to give of their best. That way, everybody wins.